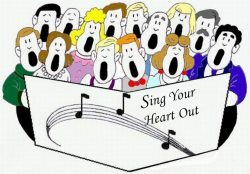 Description: We sing a variety of songs in parts from across the world, learning by ear and sometimes from a score. All welcome. Requirements: File for song sheets and water.